as the water cascades down the slate into a basin. 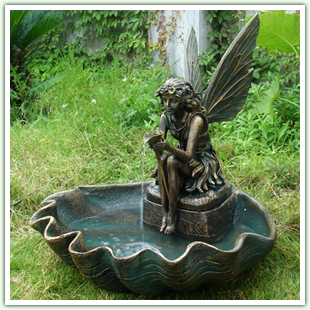 fountains enhance any home or office setting. 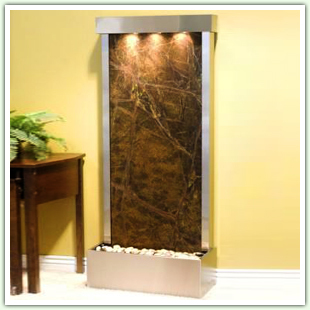 these durable floor fountains have a beautiful stone finish. fountains will enhance your garden, yard, patio or deck. These beautiful indoor floor fountains and waterfalls are magnificent in every way. They look stunning, make a unique and dramatic statement wherever placed, and all of these standing waterfalls make beautiful, soothing waterfall sounds. 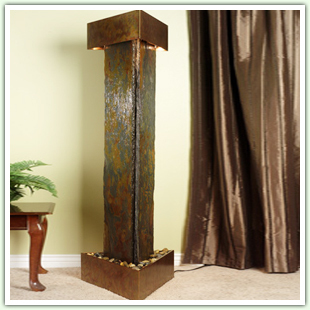 All of our floor fountains are hand crafted, using natural materials, such as copper, slate, glass, and ceramic. In addition, they are practically maintenance free, and there are many choices for indoor and outdoor settings. 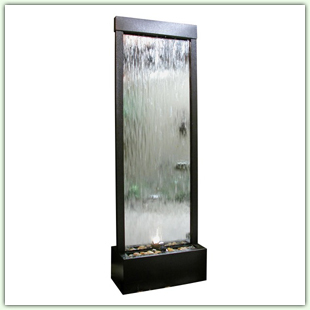 Whether you are looking for a standing waterfall for in or outdoors, any one of these floor fountains will give you a tremendous amount of relaxing joy for many years. 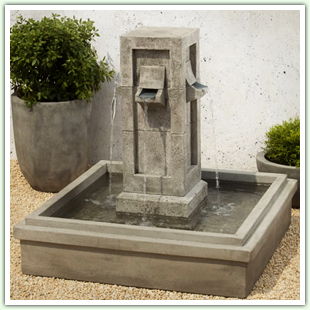 Floor Fountains are available in both indoor and outdoor designs in a variety of materials. Both waterfall and cascading water designs are represented in this multifaceted water fountain style.